Brian Blomberg gives you six F-words that will help you be a better dad. The six words are faith, forgiveness, fail, fortitude, fun, and father. Learn more from this message. Don’t worry, none of them are that F-word. It was just a few weeks ago that I was peering out our front window, watching my daughter drive off to school on a cold snowy morning. The day’s temperature was expected to reach only 8 degrees Fahrenheit. As a father, trusting my daughter to drive in winter conditions is never easy, but we had practiced many times, and she has sat through countless lectures on the finer points of driving in adverse conditions. But that day, another thought was even more prominent in my mind: Where have the years gone? It might be a cliché, but it seems only yesterday that she was pedaling her little bike down the sidewalk of that same street. And now her two older brothers are out of the house, and this is our last dance. She is the final kid at home. For me, being a father has always been very rewarding, although at some points along the way I may have said otherwise. It’s been quite a journey, and I’m doing a lot of reflecting now that my daughter is 17 and almost ready to take all my fatherly advice and, I hope, put it into practice. I’ll be the first to admit that I have blown it hundreds of times with my kids, and they would definitely confirm that. But in the midst of my shortcomings as a father, my daughter and I have something that will bind us together, something that has grown over the years and has perfected with time: trust. 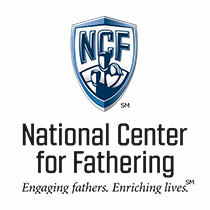 My position with the National Center for Fathering affords me incredible opportunities to meet with and share life with dads all across the globe. I look into the eyes of numerous dads who, for many different reasons, don’t share that mutual trust with their children. And based on what I have seen and heard, maintaining that sense of understanding and open communication with teenage kids is one of the toughest struggles everyday dads will face. So, for dads at any stage of the journey, here are a few of the top principles I’ve learned about being a dad, having “skinned my knees” many times in dealing with my children. I hope these F-words will be helpful to you, too. Faith in yourself, faith in your kids and faith in a higher power. To a large degree, trust your instincts and the things you have learned so far. Stay the course, don’t lose heart, and keep searching out ways to improve as a father every day. Have faith in your children. They will surprise you, probably when you least expect it, and you will discover that they really have been listening all along. (They just won’t ever admit to it.) Also, have faith in a higher power. Whatever your belief system, be humble enough to call out for help. As a dad, you are never alone. Maybe the toughest thing for any man to do is ask for forgiveness. But nothing will melt your children’s hearts more than admitting that you blew it as a dad ; you are a work in progress. Swallow your pride, guys, and be generous in asking them for forgiveness. Your kids need to understand and see your heart. It’s hard to accept, but we have to let our kids fail. A wise man said, “It is better to build boys than to mend men,” and letting kids fail along the way is part of that building process. It is our job as dads to keep our kids safe, but it isn’t our job to fix all their problems. Walking alongside your kids when they have failed or are struggling can be one of the most amazing periods of fatherhood. I’ve walked that road many times, and these are often opportunities to show our children unconditional love and establish that deep trust. Your kids aren’t perfect, just like mine aren’t perfect; no one’s kids are perfect. You can take comfort that your kids’ struggles are common to all families. It takes courage to be a father. Strength of mind, body and soul will help you endure adversity. Never, never, never give up. If you need ideas for a getaway with your child (or possibly with other dads), NCF is here to help. We’ve created a series of Expedition events aimed at connecting dads with their teens. For all the details visit fathers.com/expedition. Look for opportunities to enjoy your children. With your teens, place yourself in a vulnerable position, something that takes both of you out of your comfort zones. Spend quality time together and look for opportunities to talk—which will usually happen on their terms, not yours. Try something new, exciting and challenging. With my kids, I looked for ways to break away from technology and the fast pace of life by planning an adventure away. Usually it was out in the wilderness somewhere. But those adventures together created memories and common ground for us to talk about for years to come. Regardless of the age of your children and whatever the situation you are facing in life, you will always be their father. You’ll always carry a special place in their hearts.